The providers at The Corvallis Clinic determine which studies the Clinical Research Center works on. Their goal: To increase understanding of the disease or condition and to bring about therapeutic solutions that will eventually benefit their own patients. So, we are thrilled our site provided clinical data for three new treatments that now help some in the U.S. live healthier lives: Ozempic® for Type 2 diabetes, Trelegy for COPD and the Shingrix vaccine to prevent shingles. And in 2018 we at the Clinical Research Center – along with our wonderful trial participants – were busily doing our part to help produce more successful treatments. Sixty-four community members – your friends, family and neighbors – participated in clinical studies at our site. Most of these volunteers would tell you they participated not for themselves but to help others down the road who may have the same diseases or conditions. This is just one of the reasons why we think our patients are the best! Last year the Clinical Research Center did about 250 office visits. We worked with patients who have Type 2 diabetes, Alzheimer’s disease, COPD, endometriosis, dust mite allergies, and cardiovascular risk factors. Additionally, a few of our studies, such as a vaccine study to prevent shingles, were aimed at preventing bad things from happening to otherwise healthy people. Also, we had something happen last year that I do not recall ever happening before – our site experienced a four-week gap where we did not have a study enrolling patients with Type 2 diabetes. Seriously, this has never happened! However, we currently have two Type 2 diabetes studies open for enrollment and will begin a third study in early spring. We’re also slated to do two more vaccine studies this year. The first study will evaluate an investigational vaccine to prevent respiratory syncytial virus (RSV) in the elderly. The second study will evaluate an investigational vaccine to prevent rotavirus in infants. Other ongoing studies that are open for enrollment are two women’s health studies – one for endometriosis and one for recurrent yeast infections. The final ongoing study is a cardiac risk reduction study for overweight patients who have had a heart attack, stroke or poor circulation. 2019 is shaping up to be another banner year. Call us for the health of it – we’d love to talk to you about clinical research! 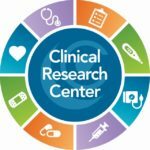 The Clinical Research Center is currently seeking volunteer participants in studies for recurrent yeast infection in women, endometriosis, Type 2 diabetes and reducing cardiovascular risk in obese patients with existing heart disease. Click here if you’d like to be contacted about one of these studies. If you are interested in learning more about clinical trials, contact the Clinical Research Center at 541-766-2163 or send an email to research@corvallisclinic.com. Or, follow us on Facebook at https://www.facebook.com/corvallisclinicresearch. – Julie Carrico is Associate Coordinator of The Corvallis Clinic Clinical Research Center and a Certified Clinical Research Coordinator.